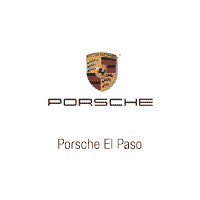 This outstanding example of a 2019 Porsche Cayenne S is offered by Porsche El Paso. This Porsche includes: SOFT CLOSE DOORS POWER SUNBLINDS FOR REAR SIDE WINDOWS HEATED STEERING WHEEL Heated Steering Wheel WINDOW TRIM IN HIGH-GLOSS BLACK BOSE SURROUND SOUND SYSTEM Premium Sound System FRONT SEAT VENTILATION Cooled Front Seat(s) Heated Front Seat(s) TOWING PACKAGE Tow Hitch WHEELS: 21 SPYDER DESIGN WHEELS Aluminum Wheels PREMIUM PACKAGE Keyless Start Mirror Memory Seat Memory Hands-Free Liftgate Auto-Dimming Rearview Mirror Daytime Running Lights Power Passenger Seat Power Driver Seat Heated Front Seat(s) Power Door Locks Keyless Entry Passenger Adjustable Lumbar Blind Spot Monitor Premium Sound System Driver Adjustable Lumbar Remote Trunk Release Bucket Seats 14-WAY POWER SEATS W/MEMORY PACKAGE Mirror Memory Seat Memory Power Passenger Seat Power Driver Seat Passenger Adjustable Lumbar Driver Adjustable Lumbar Bucket Seats *Note - For third party subscriptions or services, please contact the dealer for more information. * Want more room? Want more style? This Porsche Cayenne is the vehicle for you. You appreciate the finer things in life, the vehicle you drive should not be the exception. Style, performance, sophistication is in a class of its own with this stunning Porsche Cayenne. Comfort. Performance. Safety. Enjoy all three with this well-appointed AWD 2019 Porsche.